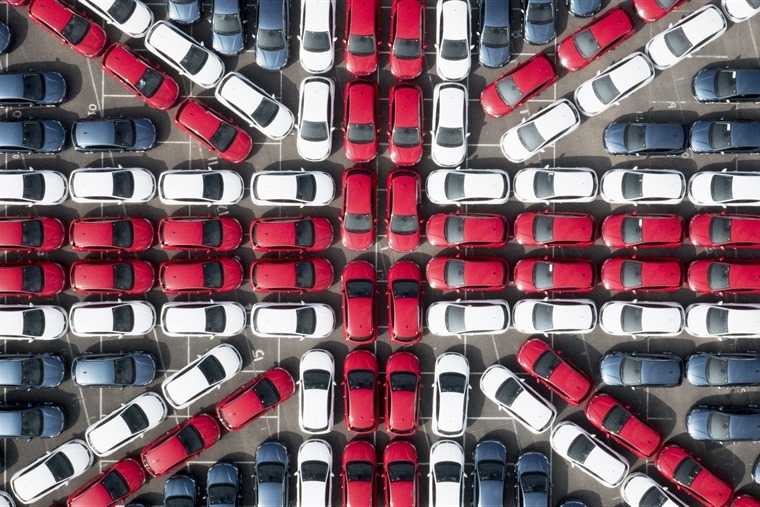 Home / Blog / How could the general election and Brexit affect the UK motor industry? June 6, 2017, 4 p.m. June 6, 2017, 4 p.m.
On Thursday 8th June, people will be visiting polling stations up and down the United Kingdom to vote for who they want to see in charge of the nation, and who to lead us into Brexit negations. Although everybody in almost every walk of life are affected by huge decisions like these, we’re going to focus what is going to happen to the motor industry, and how the UK general election and Brexit will affect the way you drive. In a time of uncertainty, nobody can be 100% sure as to what changes in the nation’s government structure will necessarily have on any industry. All we can be sure on is that there will be some effect. Since February 20th 2016, news publications, industry experts and the general public alike have been speculating as to what will happen if we did pull out of the European Union, which we now know is what the government wants to do at the beckon call of those in favour of leave. We have been told every opposite you could imagine, including the motor industry will/will not be affected by leaving the EU. Headline such as “Car makers warn Brexit is ‘biggest threat in a generation’ to UK car industry” in March 2017 and “UK car production hits 17-year high” only a month later in April this year. Who, or what rather, do we believe with such conflicting stories? If we’re going in chronological order, let’s start with the UK general election which will be upon us in little less than 3 days time. On Friday morning, the nation will wake up to find what will likely be 4 years of either a Conservative or Labour government. It is a two horse race as the polls suggest, so we do know that either Labour or the Conservatives will be taking us into Brexit. If in April it was reported we were at a 17-year high for car manufacturing, after both triggering article 51 and announcing a snap general election, you can’t really see much reason to believe that the car industry will be affected after we find out the results on Friday morning. However, it’s more to see who will be leading into Brexit negations with the EU: Current PM Theresa May, or Labour leader Jeremy Corbyn? With experts chipping in their opinions on a daily basis, we can get to grips with what the situation of leaving the EU might hold. According to The Society of Motor and Manufacturers and Traders, at least “10% of people employed in the UK automotive manufacturing sector are from elsewhere in the EU”. With the current ruling of free movement of labour within the EU, it makes it easier for car manufacturers fill positions where in the UK we are lacking, with qualified scientists, engineers and the like. On the flip side, it could mean if the manufacturers did need these positions filling; it would be likelier for a UK national to get the vacancy, leading to possible employment level rises. Along with the struggle of filling those positions, car manufacturers could suffer an increase on both importing and exporting vehicles to countries still in the EU. This could once again depend on what kind of trade deal we could negotiate. As of now, we have tariff free access to the European and other global markets. In the likely case we could come out of Brexit negotiations without this right, we could succumb to a possible 10% tariff on exports and imports, costing £1.8 billion and £2.7 billion respectively. With tariff increases like this, it makes it more than likely for some manufacturers pulling out of the UK and moving to other countries still in the European Union to avoid having to pay billions on top of what they are already paying. The points mentioned before could be coming from a business perspective of the car manufacturers, but what does this all mean for the general public? Well, the end all and be all of Brexit’ effect on the car market could be price rises. Over 60% of the parts manufacturers use to build cars in Britain are imported from Europe. Prices rise to import the parts, they rise to export the cars being made in the UK and also rise for us to bring cars from abroad. This is all going to cost the British general public. Rises in price could mean a decline in sales, and possibly UK car manufacturing could dry up, as more and more manufacturers could be open to idea of moving their factories to other countries in Europe to keep making the same amount of profit.